You’ll be grooving from your very first lesson, while avoiding the high cost of a private teacher. And you can do it all right from home! Which of the following scenarios best describes you? You’ve always wished you’d taken up an instrument (like the bass! ), but never got around to it. You’re an “okay” bass player, but not too confident when it comes to laying down a groove, playing with a band, or reading music. You’ve been playing bass for a number of years and have gotten pretty good – if you do say so yourself! – but there’s still something missing, and you wish you had someone to guide you. Regardless of your level, it’s almost impossible to know who you can trust when it comes to finding high quality, affordable bass instruction. Let our critically acclaimed courses — endorsed by some of the biggest names in the worldwide bass community — and countless testimonials from our members, set your mind at ease, right from the beginning! Indispensable tools for learning how to groove and to make the music – and yourself – feel good! Confidence! Imagine taking your spot with a band knowing how to give the music just what it needs. You’re locking in with the drummer, supplying the beat and the groove that the others – both the band and the audience – just can’t live without! You’ll be making music on the bass right away, even if you’ve never played an instrument before! Our uniquely designed lessons enable you to benefit from every lesson, regardless of your level. The consistent backing tracks allow you to start each lesson with the simpler material, then move up to the more challenging stuff whenever you’re ready. It’s like having built-in inspiration in every lesson! You’ll be learning from FBPO’s first-rate faculty members, all of whom bring a wealth of professional experience and bass know-how to help guide you, every step of the way. You’ll be given the tools for becoming a proficient “groover” in a wide variety of musical styles and genres – everything from rock and blues, to jazz, funk, R&B, reggae and so much more. Here’s your chance to develop that bass technique you never knew you had in you, from chromatic studies and string crossings, to advanced R&B, slapping and tons more. There’s even an entire category called CHOPS! that’ll help you build some truly scary bass technique! See how we even make learning to read music enjoyable, with our fun, friendly, step-by-step approach that grooves! It’ll open up a whole new world to you! You’ll learn how to take all those scales, modes, all that theory, etc., and use them for some genuine music making. We take the mystery out of improvising and bass soloing! Well organized, diverse, with clear and assertive explanations. An excellent tool for learning bass in various levels and styles. Thanks, Jon, for sharing your secrets and techniques with us. Hugs. It may blow your mind to begin with, but the play-along tuition is fun, stretching and addictive when you get into it. Stick with it and your bass playing will go hypersonic! This is the one! Whether it’s freeform jazz or those gotta-know lines, the bass has gotta groove and make the music feel good. If that’s what you aspire to, this is the site for you. Just gotta say that after looking at a lot of bass teaching sites, there is NOTHING as good as this. Thank you for the many, many hours you must have put in to create such a superb site. I highly recommend Jon’s online bass lessons, regardless of your level. All lessons are thoroughly explained and slowed down. Exercises start simple and gradually increase as you go. The good thing is that the backing track is similar throughout the exercise so you can decide for yourself when you are ready to move on to next part of exercise. I have been both a fan and online student of Mr. Jon Liebman for some time now. One would be very hard pressed to find any other method of training/teaching online to enable a serious-minded individual to quickly and seamlessly learn how to play the bass guitar. If one follows and takes the time to master Mr. Liebman’s instruction with his amazing online course, the sky will be the limit in your talent, hands down. Awesome job on your website! I was able to make music in the first lesson, playing along with the backing track. I can’t say how much fun it is to be learning and making music at the same time! I’m looking forward to working my way through all the lessons. Keep up the great work! In the sea of online bass lessons, Jon’s website stands out as one of the best, and his open accessibility makes one feel like a private student. These lessons are great for practice, and while they require work and effort, they also are fun. There’s so much “stuff” online. Why should I choose FBPO for learning bass? First, each lesson is demonstrated, first at full tempo, along with the band. That way you can see – and hear – exactly how it’s supposed to go. Then, the whole lesson is played again, this time slowly, just bass and drums, with close-up shots of the teacher’s hands so you get a solid grasp of each lesson’s objective. After that, the teacher backs out completely, leaving only guitar and drums, clearing the way for you to fill in the bass parts. The key benefit here is your ability to play any part of the lesson you want – the easy parts, the more challenging stuff. Or maybe you’ll come up with some stuff of your own! Generally, each lesson has several examples, starting out pretty simple, then gradually becoming more challenging. The really cool part is that the backing tracks for each lesson will work for every example in that lesson. That way, you can play whichever examples are best suited for your current level, all the while aspiring to move up to the difficult passages. This is perhaps our most popular feature! But wait – it gets even better! Each lesson also has a looping audio track so you can practice your technique, grooving, soloing, whatever!, over and over for as long as you want. Another big plus is that while you’re grooving along in any of a number of styles like Jazz & Blues, Rock & Metal, Funk/R&B, Slapping and so much more, you may not even notice how we’ve “slipped in” things like scale passages, arpeggios, chromatic runs and other key elements to build your overall mastery of the instrument. Think of it has having fun while you’re getting good, and getting good while you’re having fun! While the teacher is demonstrating the lesson, the music is right there at the bottom of the screen for you to follow along. Wanna practice away from you computer? No problem! You can print off a PDF of every lesson. I’m a beginner. Is that okay? Absolutely! While some of the courses can get rather advanced, others are actually quite simple. Keep in mind that most of the bass lines you’ll be called upon to play in the “real world” are simple. In your case, you’ll probably want to start with the Beginners and Easy categories. In addition, the “Bassics” category incorporates many of the fundamentals of bass playing and overall fingerboard mastery into some simple grooves we think you’ll enjoy playing. Each video includes demonstrations at both fast and slow tempos, giving you a chance to “nail” each piece while progressing at your own speed. My sight reading’s not so hot. Is that a problem? We can help you there too! This series includes a well-organized Sight Reading category that will take you through the process, step-by-step. In addition, all FBPO lessons will be enormously helpful in getting your reading together. For one, you’ll see each example demonstrated, first at full tempo, then slowly, so you can hear exactly what it’s supposed to sound like. Every selection includes not only standard music notation, but tablature (TAB) as well, giving you a head-start toward getting those notes under your fingers. We recommend you wean yourself away from the TAB as quickly as possible, though, learning to read actual music notes. It will increase your level of professionalism immeasurably. I’m an upright player. Do you have anything for me? You bet! 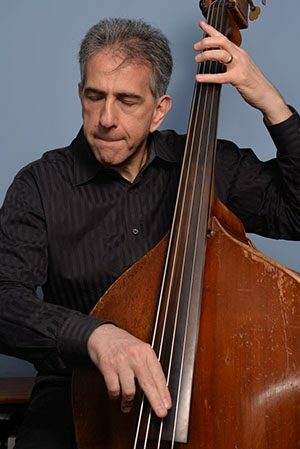 In addition to an entire category devoted 100% to upright bass, you’ll find lots of other examples perfectly suited to the upright, including several in the Jazz & Blues and Building Bass Lines categories. The material here is incredibly comprehensive. There are so many lessons! How do I know where to begin? Again, we’re here to help! You can start by telling us your bass-playing goals and we’ll help guide you through the process. Or, if you prefer, you can just dig in to one category at a time, depending on what you’re feeling on any particular day. Do you ever add any new lessons? Constantly! While there are already tons of lessons to keep you plenty busy, we’re continually adding new lessons and courses all the time, covering all kinds of bass techniques, styles, genres, grooves, etc. As a member, we’ll keep you updated with all the latest and greatest info about our new lessons and features. By the way, a lot of our lessons are developed from requests we get from our members, so be sure to let us know what else you’d like to see on FBPO! What if I have a question or need help with something? You can always reach out to us via the CONTACT link on this site. We promise to respond! Much of the time, you’ll actually hear back from Jon himself. Who’s this “Jon Liebman” guy, anyway? 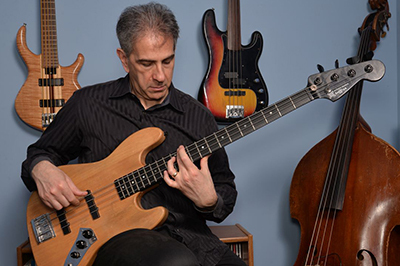 Jon Liebman is a world-renowned bass player, composer, author and educator. 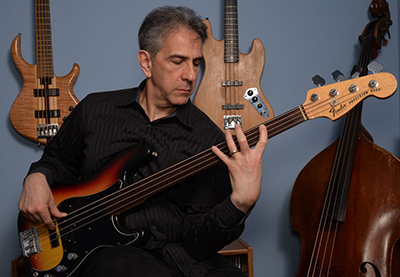 Jon has written nine best-selling bass instructional books, all published by Hal Leonard Corp., the largest print music publisher in the world. Jon’s books, with sales in the hundreds of thousands, have become a mainstay in the bass curricula of many music schools throughout the world. They’ve also been translated into multiple languages, including French, German and Japanese. As an educator, Jon is held in very high regard among the worldwide bass community. Jon’s books have been endorsed by many of the biggest names in the bass world, including Jeff Berlin, Will Lee, John Patitucci, Stu Hamm, Billy Sheehan, Brian Bromberg, Verdine White, Steve Bailey, Rocco Prestia, Nathan East, Victor Wooten, Rudy Sarzo, Abraham Laboriel, Sr., Tom Hamilton, Tony Levin, Jerry Jemmott, Tim Bogert, Leland Sklar, Jimmy Haslip and many others. The online bass instruction at FBPO, in addition to getting rave reviews from our members (see above), is heartily praised by the likes of Ed Friedland, Dann Glenn, Andrew Gouché, Ariane Cap, Gary Grainger, Bakithi Kumalo, Damian Erskine, Rich Appleman, John Clayton, Bjorn Englen, James LoMenzo, Michael Manring, Rufus Reid and many more! You can read more about Jon in his bio on the “About” page. If you’re looking for a more economical plan, a 6-month membership will cost you $69.99 – and save you 10%! For an even better deal, why not go for our 12-month plan? It’ll only run you $129.99 for an entire year – and it gets you two whole months for free! These are recurring packages. You will automatically be charged every billing cycle – either every month, every 6 months, or every 12 months – unless you cancel. Try it out for free! All new subscribers get a 15-day trial membership. You won’t be charged anything until 15 days after you sign up, unless you cancel. The free trial is intended for new, first-time members. If you join, then cancel, then re-join within a short timeframe, well, we’re happy to have you back, but we think you already know what we’re all about, so the free trial doesn’t really seem appropriate, knowwhatImean? Each subscription package entitles you to unlimited, 100%, “All You Can Eat” access to all of our lessons and courses. Consult the “Terms and Conditions” page for all the legal mumbo jumbo – no traps, hidden agendas or “gotcha” ploys. Just the facts, ma’am. It all sounds great, but I’m still not sure. Once again, we’ve got you covered! All new members begin with a 15-day free trial. If you’re worried you won’t absolutely love it, you can cancel within 15 days and you won’t be charged anything. Just click the link below and you’re on your way!